I’d been looking forward to this event since I invited him to present and, thankfully, he said yes. He’s a long-time AMA member and a big supporter of the organization. I may be one of the few who’ve never had the pleasure of hearing him speak, so I was stoked for our meeting yesterday. And, Dr. Blackwell did not disappoint! 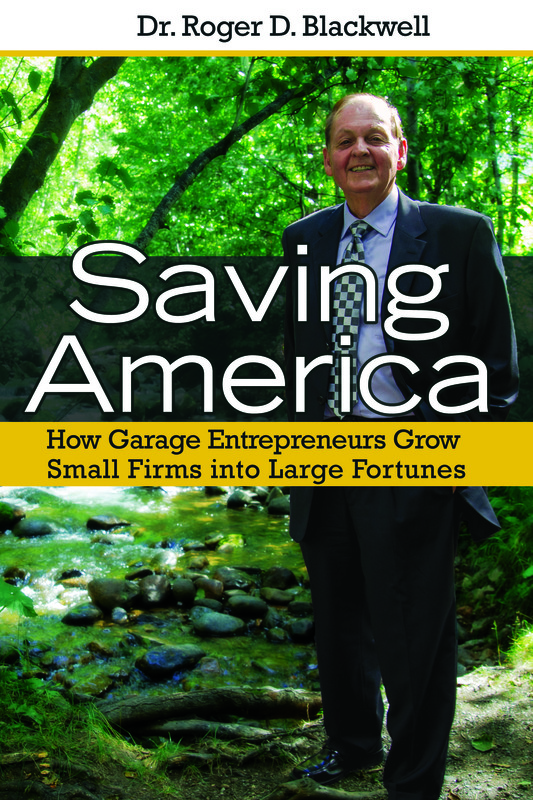 Dr. Blackwell has written a brand new book, “Saving America: How Garage Entrepreneurs Grow Small Firms into Large Fortunes,” that talks about how to bootstrap the economy and how small startups are our salvation. I must admit, I’m not the biggest follower of economics, but his talk fascinated me. “If you don’t know the cause, you won’t know the cure,” is one of his favorite expressions. So, he proceeded to explain his theory regarding the cause of our economic woes. The way he explained how our upper head strength (= brain) has become more important than our upper body strength (=brawn)—meaning it now takes fewer workers to do the same job because of technology—by using statistics and examples we can all relate to had the crowd enthralled. Add to that his dynamic presentation style—there’s no doubt that this is a guy who CARES about what he’s saying!—and it was a tremendous presentation. Dr. Blackwell came out into the audience—he didn’t stand up on the stage or at the podium. There was an energy in the room. Although he ran over the allotted time, no one got up to leave…everyone stayed to hear his entire talk. I think he would’ve kept going, had we had more time—and I really wanted him to keep going! This got me to thinking, if you’re a passionate presenter, perhaps it doesn’t matter if every member of your audience is into your topic. If you CARE about what you’re saying, then the audience will follow your lead and care, too! So, the next time you present, try to inject some passion into your presentation. I’m still thinking about Dr. Blackwell’s talk and am sure it will stay with me for days. He definitely left his audience wanting more.